There's no time in Magic as exciting or as terrifying as week one of a new Standard format. It's the point in the format with the most viable decks and the largest potential for discovery. This implies that it's critical to spend your time wisely. Every league you enter, every card you test, and every decision you make must have the specific goal of optimizing returns on your time. As the format develops and the metagame becomes defined, it's sometimes advantageous to play underpowered decks looking to exploit a hole in the format. Week one of a new Standard format is neither the time nor the place for that. With everything so nebulous, your goal is simply to identify a deck with enough raw power to crush everything in your way. If the deck you identify even reaches tier 2 status in the endgame of that Standard format, you're in a great position to win the first tournament. To give you a sense of this, at SCG Columbus last year, immediately following the release of Guilds of Ravnica, my teammate Max McVety played Mono-Red Aggro featuring Experimental Frenzy. We finished in the top 4 of that Team Constructed Open, in no small part thanks to Max's excellent record in Standard. While the deck certainly didn't dominate, for that singular tournament it felt broken. Golgari Midrange basically didn't exist yet and even the rare opponents who played it had heavily untuned lists with many choices that would seem laughable today. During week one of a new Standard format, you don't need the best deck. You don't need a well-positioned deck. Any good deck will do. 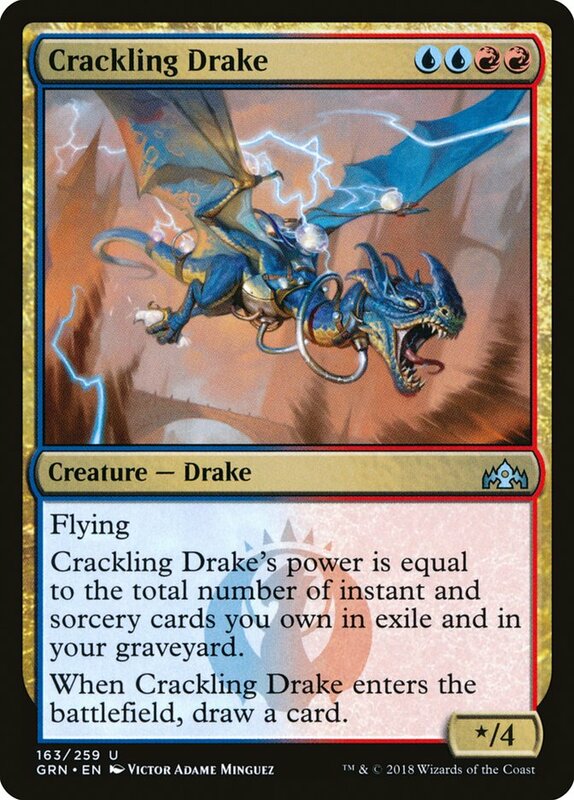 "Is the Wildgrowth Walker sideboard plan effective against Izzet Drakes?" This lets you hone your testing like a scientific experiment -- control every factor except one and observe the results. Week one of a new Standard format isn't like that. Many of the decks you're testing will need to be completely abandoned or re-imagined from the ground up. Many of your sideboard cards won't be good in the matchups they're intended for or be completely incompatible with your deck's plan. Many matchups will be about things you never thought would be relevant or cards you thought were unimportant. As a result of this uncertainty and the limited time frame, it's critically important to iterate faster. Be more willing to generalize from small samples, drop decks from consideration entirely, or change cards after only a few games. You typically won't know if either of the decks in a given match will be around in a month, so don't worry if half your games with Rakdos Aristocrats feature the Gruesome Menagerie package while the other half don't. You're mostly just trying to discern if your plan is effective against theirs and if your deck is consistent enough to be playable. The amount of space you need to explore also means that you should take every measure possible to save time. If you're testing a sideboard card, make sure to start it in your hand. If you're testing a matchup you know will be awful game 1, don't even bother with pre-sideboard games. Eke every ounce of value out of your extremely limited test games. All of this will slightly reduce the validity of your data and might make you wrong about small things. But it will help you establish the big picture quickly, and that is far more important early on. Very frequently there exist decks that hinge on drawing some specific card. If you can identify such a card, it will usually allow you make a ton of deductions very quickly. If you plan to play a deck featuring such a card, you should do everything you can to ensure your deck can win games without it or find it more frequently. If you're playing against the deck in question, you know exactly what card to attack to make its strategy tumble like a house of cards. In Ravnica Allegiance Standard, the deck with the most prominent lynchpin is Bant Nexus. 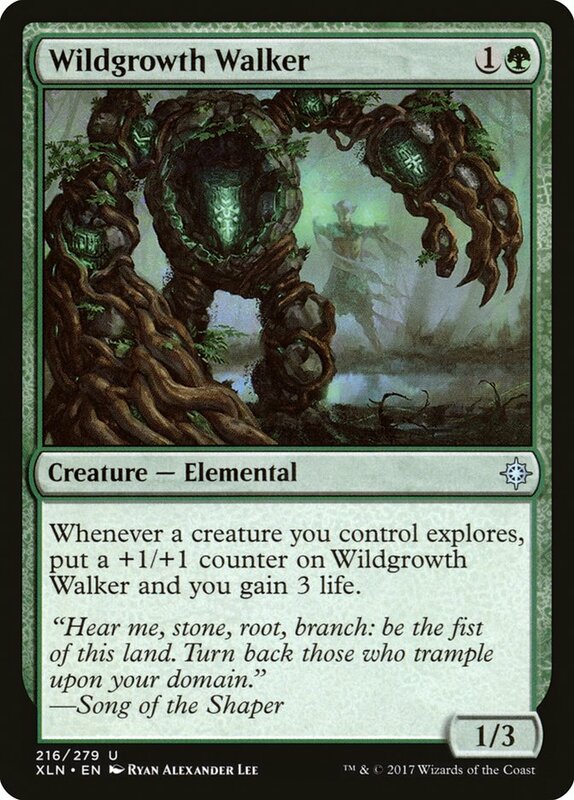 Its lynchpin, Wilderness Reclamation, is an obscenely powerful card, but the rest of their strategy is often underpowered and exploitable. 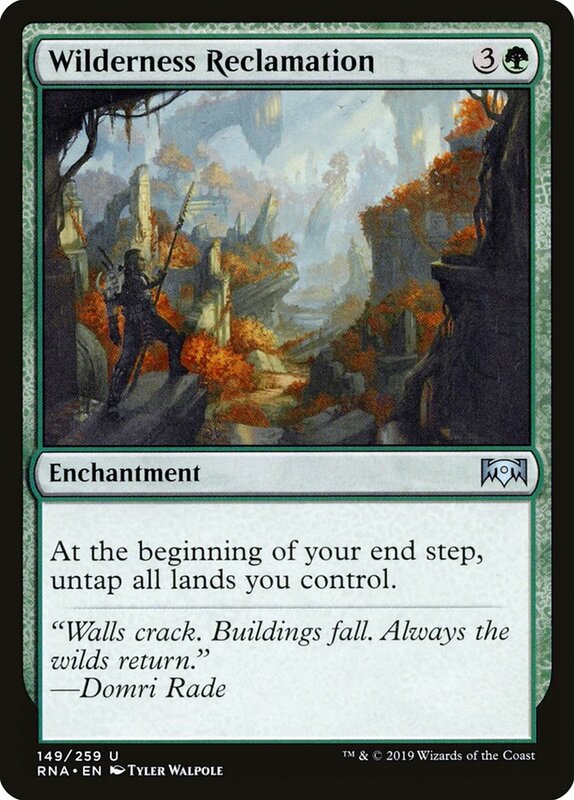 I'm highly unlikely to play Bant Nexus this weekend and the reason is simple - I do not know yet how to make the deck hum when Reclamation isn't on the battlefield. While cards like Opt and Anticipate can improve your probability of finding it, I think the card selection in Ravnica Allegiance Standard is weak enough to not fully address this problem. If you have already cracked that particular code, you might just have a great deck on your hands. The problem with sideboards like this is that they don't consider how these specific cards fit into the context of your deck's larger plan. It's typically better to play a weaker card that synergizes with your deck than a more powerful one that dilutes it. 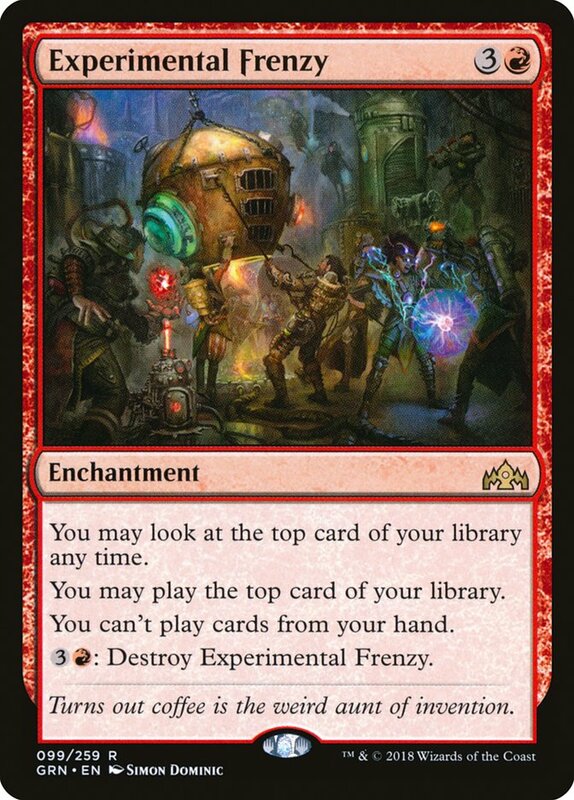 For example, in Ravnica Allegiance Standard, I have seen some lists of Rakdos Aristocrats sporting Experimental Frenzy in their sideboard. This is a huge mistake, as Midnight Reaper and Priest of Forgotten Gods mean that your deck draws a huge number of cards even into the lategame. This makes Frenzy's downside far more relevant here than in a deck like Mono-Red Aggro. 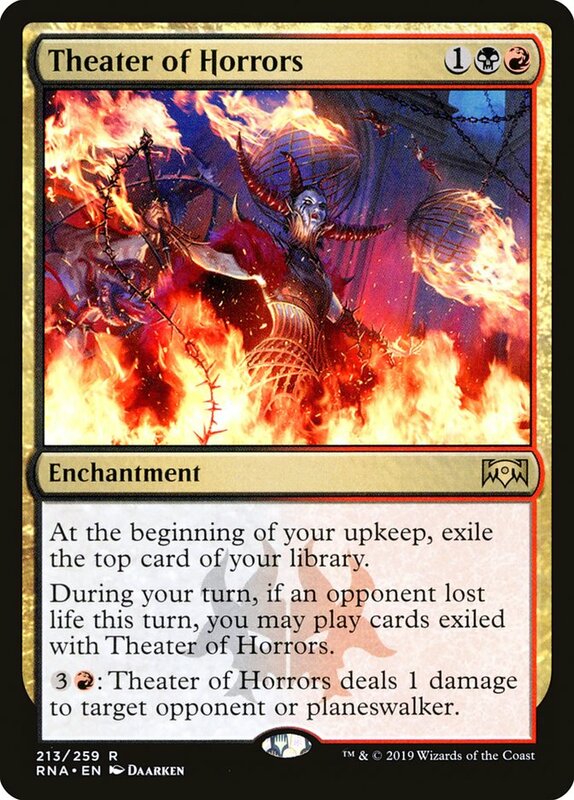 As a result, if your Aristocrats deck needs a grindy card advantage engine for the control matchup, you should play Theater of Horrors, even though Experimental Frenzy is more powerful in the abstract. In a similar vein, if your Gruul deck is trying to capitalize on Rhythm of the Wild and Domri, Chaos Bringer, don't cut seven creatures for four Cindervines and three Vivien Reid against Bant Nexus and call it a day. You should instead look to use creatures like Reclamation Sage and Thrashing Brontodon to answer enchantments without diluting the core strategy of your deck. Throughout Magic's long history, some strategies have been good far more frequently than others. When all else fails and you're losing with everything, the best approach is often to just play one of these tried-and-true strategies. Cheap creatures plus burn spells, Draw-Go Control, and going over the top of anything the opposition can produce are all examples of these fundamental archetypes. Historically, big stupid green creature decks and small creature synergy decks have been far less successful. While this topic is too broad to explore fully here, if you have no idea what to play at SCG Indianapolis this weekend, I recommend Mono-Red Aggro or Esper Control over Gruul Aggro or Rakdos Aristocrats. However, I always trust process over the suggestions of individuals, and I hope I've helped you make yours just a little better. So, Why Are We Pretending Merfolk Isn't A Deck For SCG Indy?